Southeast Asian countries should not be singled out for failing to take a unified stance on the escalating US-China rivalry other regional blocs such as the European Union are grappling with mixed allegiances, too. 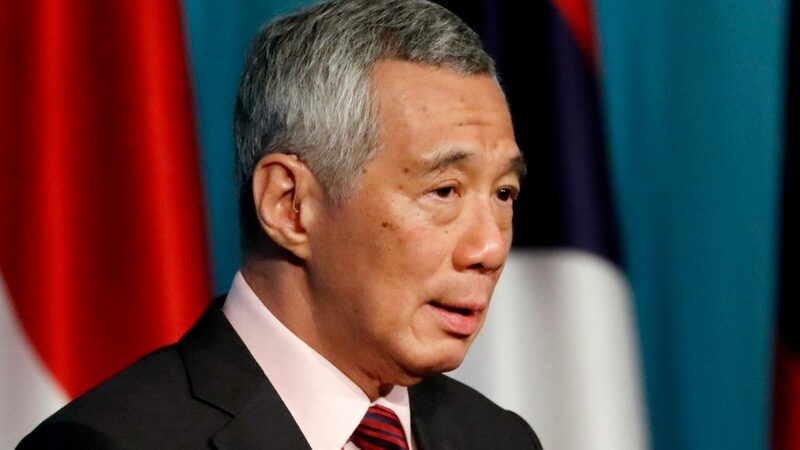 That’s what Singapore’s prime minister Lee Hsien Loong told the Bloomberg New Economy Forum on Tuesday evening, just days before a summit of the 10-nation Association of Southeast Asian Nations (Asean) that will include its key global partners including the US and China. Chinese Premier Li Keqiang, US vice-President Mike Pence and Russian President Vladimir Putin are among the world leaders who will attend the meeting, which begins on Monday. Asean has long been mocked for lacking a united front and some of its members have a reputation for putting their ties with major powers ahead of their obligations to partners in the bloc. In particular, Cambodia and Laos have often been accused of doing Beijing’s bidding. When Cambodia hosted an Asean summit in 2012, it torpedoed efforts to mention the South China Sea in a joint communique issued after the meeting in a move widely seen as being influenced by Beijing. Lee said he would not deny the group was influenced by various powers. “It would be less than candid if I said Asean was impervious to gravitational and tidal forces and different countries in Asean feel them differently,” he said in a dialogue with Bloomberg News chief editor John Micklethwait. “Therefore in our discussions you have to make allowances for that and understand that we start off with different perspectives on the world. “The area where we can develop a consensus Asean view is not the whole universe but some subset thereof, which we try to make as big as possible. In the wide-ranging interview, Lee said he hoped the trade war between Beijing and Washington would not force the two powers into disrupting other areas of their relationship. Asked if the Lion City had played an “outsize” role in China’s rise, Lee said Micklethwait was overplaying his country’s influence over Beijing. Lee’s father Lee Kuan Yew, Singapore’s independence leader, earned a reputation as the West’s China whisperer during his five decades in politics. But his son, the country’s third prime minister, said China probably viewed Singapore as “a bonsai model of what China is”. Lee said some “ineffable essence” of Singapore may be of interest to China. Of great interest to Chinese leaders, Lee said, was how it was possible for his People’s Action Party government to have “open elections regularly” and yet remain in power for a long time. The ruling party has been in power uninterrupted since 1959. Lee’s critics say a key reason for his party’s monopoly on power is a political landscape in which contrarian voices are systematically suppressed. Asked if he would bring forward general elections due in 2021 to next year the 200th year of the city state’s modern founding, Lee said this was possible. “There are many reasons to bring elections forward, or not, so we’ll see,” Lee said.